Kedar was founded 22 years ago, in the middle of what was then desert. Since then, the community has grown, and now simultaneously offers a high quality environment with the peace and quiet of living in the desert with the conveniences of a close proximity to both Ma’aleh Adumim and Jerusalem. The area affords beautiful views of the desert, Jerusalem and Ma’aleh Adumim, and on a clear day there is a stunning view of Jordan, the Jordan River Valley and Amman. The community is affiliated with the Betar Settlement Organization and all residents are Zionistic, though all political parties may be found among Kedar’s voters. Kedar is a bedroom community with no real opportunities yet for employment within the yishuv itself. The master plan eventually will include a light industry/commercial zone. A wide vareity of schools are available five minutes away in nearby Ma’aleh Adumim. School buses are provided by the local council to transport school-children to and from school. For Kedar’s residents, a personal vehicle is required for convenient travel. There is currently some Egged bus service to the area, but that service will increase with increased population. Kedar is also very user-friendly for hitchhiking locals going into town or back. The community is only a 5 minute drive from all the conveniences of Ma’aleh Adumim, a 12 minute drive away from Mt. Scopus, and 20 minutes from downtown Jerusalem. Kedar is a fully integrated Israeli yishuv. Immigrants are welcome, and services for Olim can be found in nearby Jerusalem. There is a very nice mall in nearby Ma’aleh Adumim with all the amenities one might require. Most of Kedar’s residents are Sephardic, although there are some Russian immigrants and of course a few Anglo families. There is a functioning minyan for Ashkenazim on Shabbatot alongside the already existing Sephardic synagogue. This anticipated new synogogue will be geared towards serving the Modern Orthodox and Conservadox communities. There is currently a Sephardic synagogue served by Rabbi Eliahu Abba Shaul (Shas). Kedar consists of private homes, or ‘villas’. 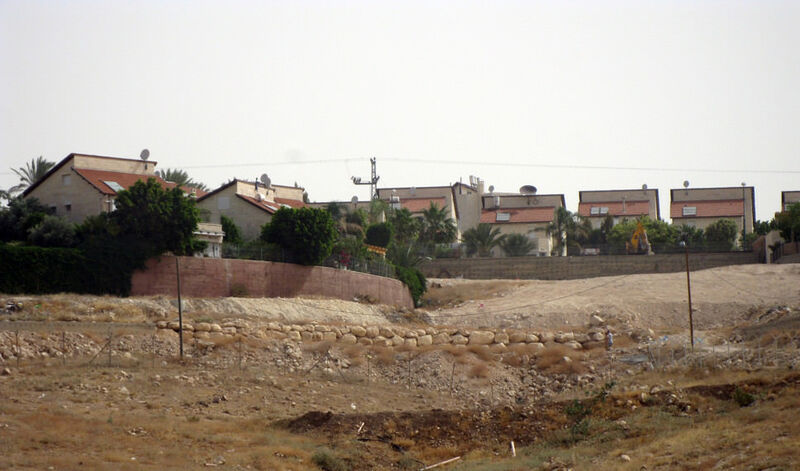 Buying a lot, which is about half a dunam (1/8 acre) of land, costs around NIS 480,000 or $120,000. Prospective buyers must be approved by the membership committee of Kedar. Second-hand homes are also available.